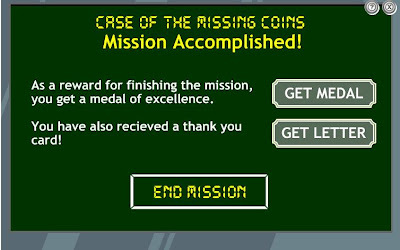 The case of the missing coins has been added to agent missions. Follow the directions and look at the pics below for more help. 1. Talk to the agent that is in front of you and talk to him until he closes the vault door. 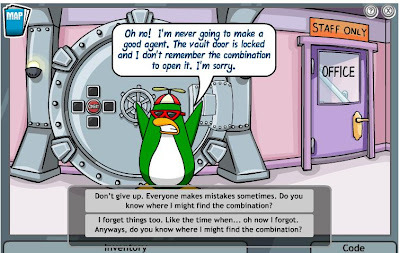 Then he tries to re-open it.2. Go to the office and look under the couch in the office. 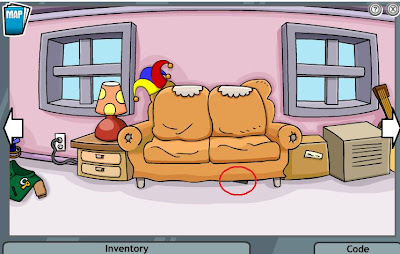 Take the floppy dirve and the paper clip. 3. 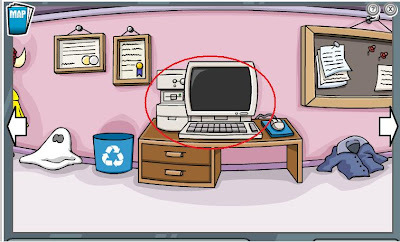 Go to the computer in the office. Turn it on and put the floppy drive in. 4. 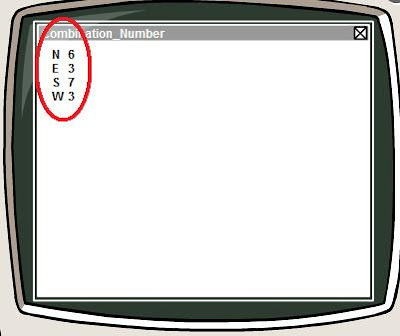 When you are in the computer, find the vault numbers, when you find the numbers there will be either a N, E, S, or W infront of them. They stand for North East South and West. 5. 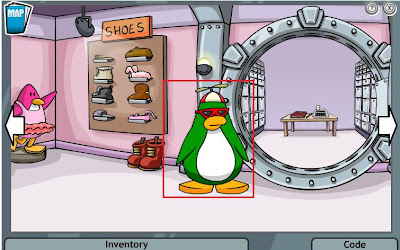 Go to the vault and enter the numbers you got from the computer. 6. 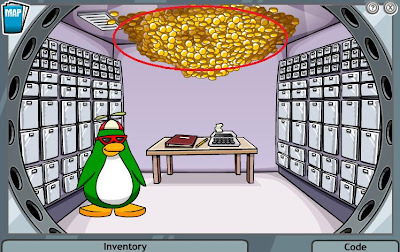 Go into the vault and click on the coins that are stuck to the ceiling. 7. Go to G and watch the video clip of the vault. 8. Talk to G until he says you should go to the roof. He opens the drawer next to him for you to get a key. 9. 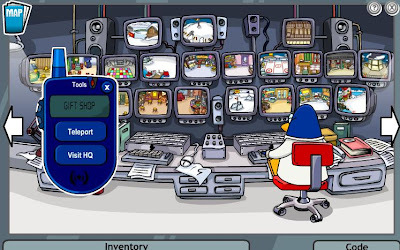 Get the square key that says “roof top” and is on the left. 10. Go to the gift shop office, then go to the door leading to the roof. 11. 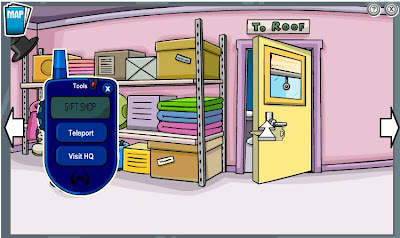 Click and drag the key to the roof top door. 12. 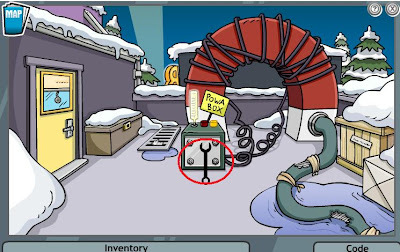 Go to the roof and use the screw driver on the “Powa Box”. 13. 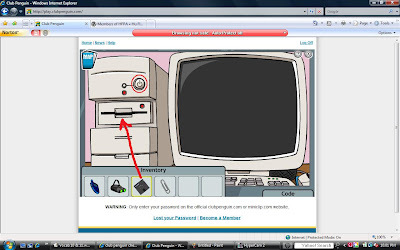 Go into the “Powa Box” and click and drag the paper click into the box. 14. Go back to the vault and talk to the agent who is there. 15. 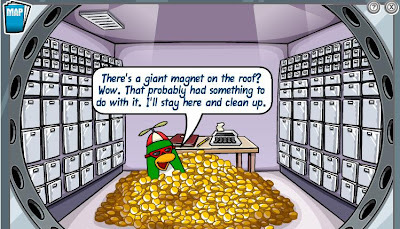 Go back to G and talk to him until he talks about that the magnet that was stolen from him. 16. 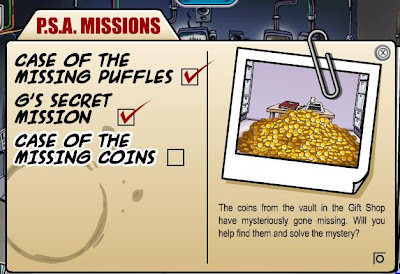 Keep on talking to G until he asks you about the other mission. 17. Go up to the roof and get the fur on the vent..
18. Give G the fur. 20. Put on your night vision goggles and Go to the boiler room. 22. Play with the buttons until all of them are green. 23. Go back to G and you’re done!